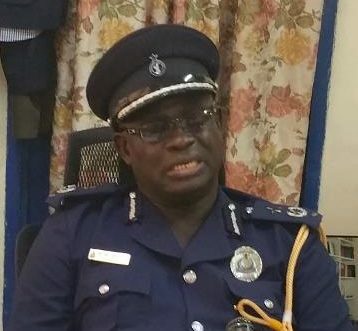 Volta Regional Police Commander DCOP Francis Ebenezer Doku has been removed from his post to come and serve as a director at the Police Headquarters in Accra. He will now serve as a director in charge of special duties. His staff officer at the Regional Police Command, Maister Klay, has also been removed from the region to be in charge of the Gambaga District Police Command. A police memo dated January 21 and sighted by 3news.com said the transfer takes immediate effect. No reasons were given for the two transfers. DCOP Doku’s removal from his current duties comes on the back of his recent pronouncement that the Police had identified weapons manufacturing base at Alavanyo but are unable to move in due to high level of defences. The Paramount Queen of Alavanyo Traditional area in the Volta region, Mama Ametor II, also alleged recently that some police officers in the Volta Region were engaged in marijuana cultivation. She alleged the recent clash between the police and some youth of Alavanyo Dzogbedz which resulted in the death of four persons was the result of a wee business deal gone wrong.